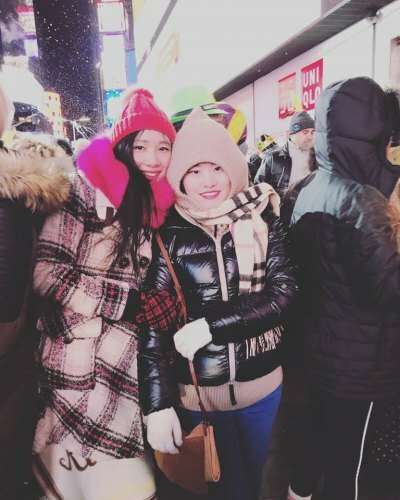 A former Marshall University international student graduate spent New Year's Eve bundled up with friends and thousands for the Times Square ball drop in New York City. A native of Shanghai, China, Jing graduated from MU in 2012. She now lives in NYC. "To wait this wonderful moment, everything is worth it," she wrote on Facebook regarding the harsh wind chill factors at Times Square. " I have achieved something on my to do list." Jing has also lived in Los Angeles. She granted HNN permission to post photos of she and friends at the New York festivities. She visited a pizza shop prior to the trek to Times Square. The gallery includes several photos from her page without the bundled parka. and a few of NYC Christmas lights.